The third volume of the Atlas of Design from the North American Cartographic Information Society (NACIS) is out. It contains 32 maps, which editor Marty Elmer says are interesting at first but deep enough to maintain interest. This is a great gallery for cartography and visualization teaching and learning. The print edition is now available for pre-order. National Geographic introduces the tome and provides some example maps. Need to visualize the length of Trump's planned wall? A German publication has an interactive tool that lets you move the wall on a map of the world. h/t @re_sieber. Want to see inequality in South Africa? How about looking at it from above via Unequal Scenes. The site "portrays scenes of inequality in South Africa from the air. Discrepancies in how people live are sometimes hard to see from the ground. The beauty of being able to fly is to see things from a new perspective - to see things as they really are." h/t @re_sieber. 9 Tips For Communicating Science To People Who Are Not Scientists - There are valuable insights for those talking about GIS analyses, too! 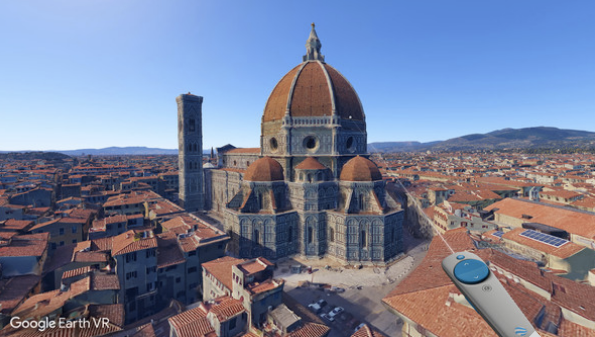 Google announced a virtual reality (VR) version of Google Earth last week. It's free from Valve’s Steam store and currently runs on the $800 HTC Vive headset. Early reviews from Daily Tech News Show (my tech source) and an actual human who used it (Larry) were very positive. How will such tools impact geography and place-based education? A sponsored post on EdSurge describes how Canada’s Ottawa Catholic School Board (OCSB) teacher Audra Abromaitis, with support, rewrote the entire Grade 9 Geography course. 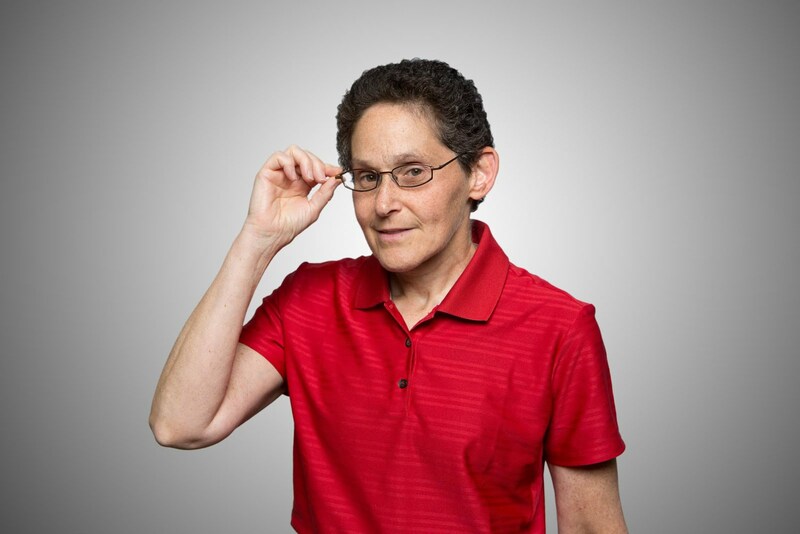 She wanted to "revitalize student interest, and support differentiated learning for students of all abilities" The interactive tool is built on Google Apps and the Hapara Suite. Hapara, which "offers a Cloud-based instructional management system to K12 education institutions who use Google Apps for Education or Microsoft Office 365 Education," provided the article. Are GPS Apps Messing With Our Brains? asks Mother Jones. For the teenage boy cartographers: Map of the world's rudest place names is a thing of beauty. Warning: possibly NSFW. For those who need reassurance that maps are important: Target, Walmart Release Detailed Store Maps Ahead of Black Friday. The documents are PDFs. The University of Southern California Dornsife's Spatial Sciences Institute introduced a new minor in human security and geospatial intelligence. ‏@PLANETucker reports: "The First Female President of @AmericanGeo in 165 years, Dr Marie Price, opens @geography2050 #glassceilingbroken"
It's always fun to see where the Smith College community members are heading for Thanksgiving. The crowdsourced map is in Carto. And, here's more on what's going on at the Smith College Spatial Analysis Lab. @theaag shares answers to its question for GeoWeek: Why do YOU do GEOGRAPHY? Sam Viguerie is a senior at St. Olaf College in Northfield, MN. He's a serious cellist. 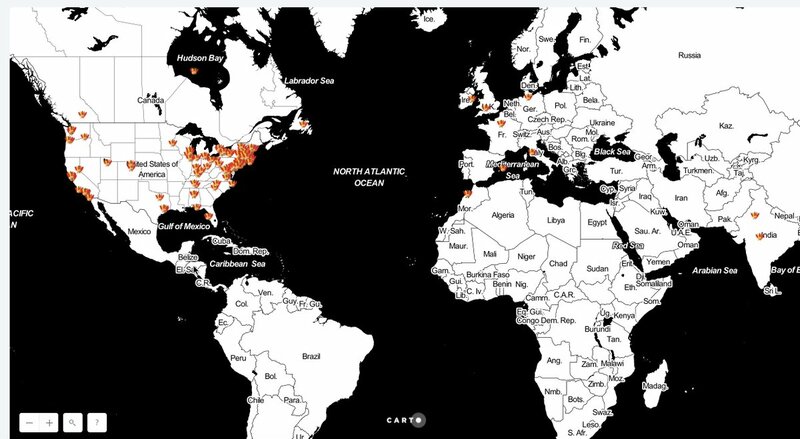 But, he was also "part of a team of researchers led by Assistant Professor of Music Louis Epstein who are creating a multi-sensory, interactive tool to illustrate the musical geography of 1920s Paris." Geography and GIS are part of a liberal arts education. Higher Education Research Experiences (HERE) at Oak Ridge National Laboratory hosts research participation programs for both faculty and students at various academic levels. There are stipends and opportunities for STEM work. And, yes, they do GIS there. 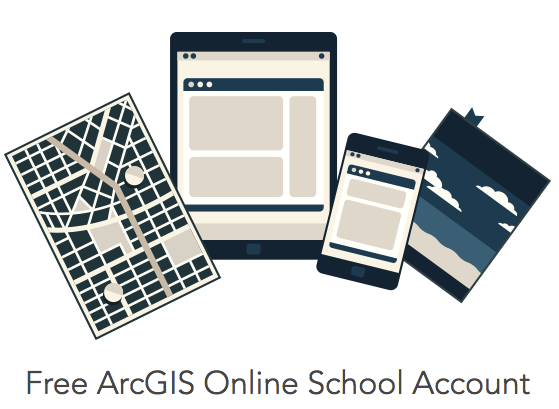 The ArcGIS Online US School Competition 2017 is open to high school (gr.9-12) and middle school (gr.4-8) students in the U.S who can analyze, interpret, and present data via an ArcGIS Online presentation, web app, or story map. Esri is offering grants to states supporting ten equal prizes of $100 for the five best high school and five best middle school projects in the state. Schools can submit up to five projects to the state, and participating states submit to Esri the ten awardees (5-HS and 5-MS), with one project each at high school and middle school tagged for a final level of competition. One high school project and one middle school project will earn a trip to the 2017 Esri Education Conference in San Diego, CA. Esri announced last Wednesday that it has extended its support of President Obama's ConnectED initiative through 2019. The company, ok my employer, "will expand its wide range of curricula that integrates map-based concepts into primary and secondary school learning." Esri has started revealing more about Insights for ArcGIS. What is it? It's a spatial analytics experience! Esri is looking for input on a resources document for GIS in higher education.